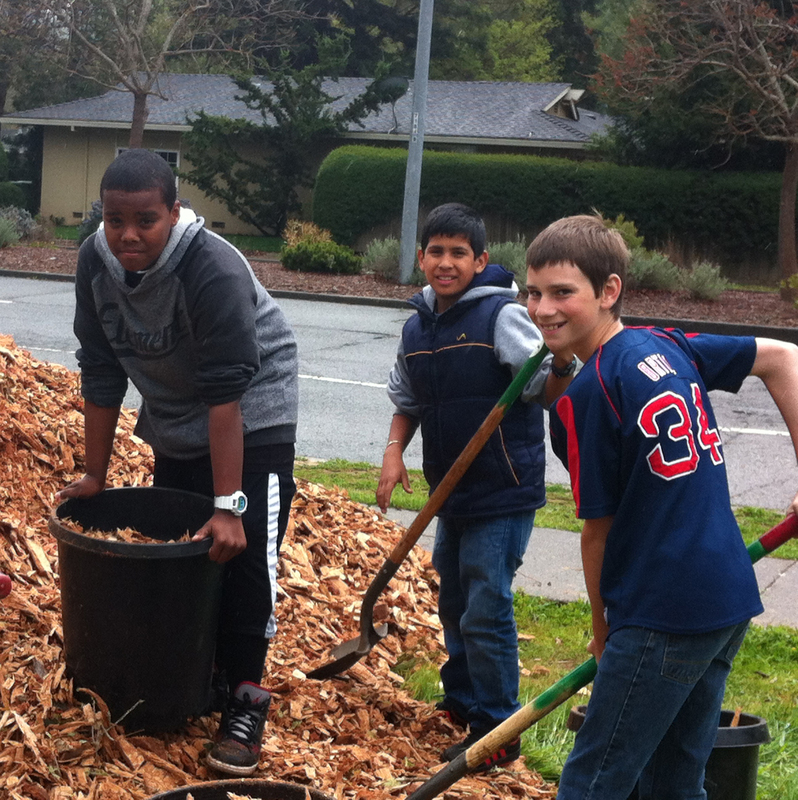 In 2013, the California Urban Forests Council and Urban Ecos teamed up with Friends of the Urban Forest to plant trees at a middle school in Novato, CA. 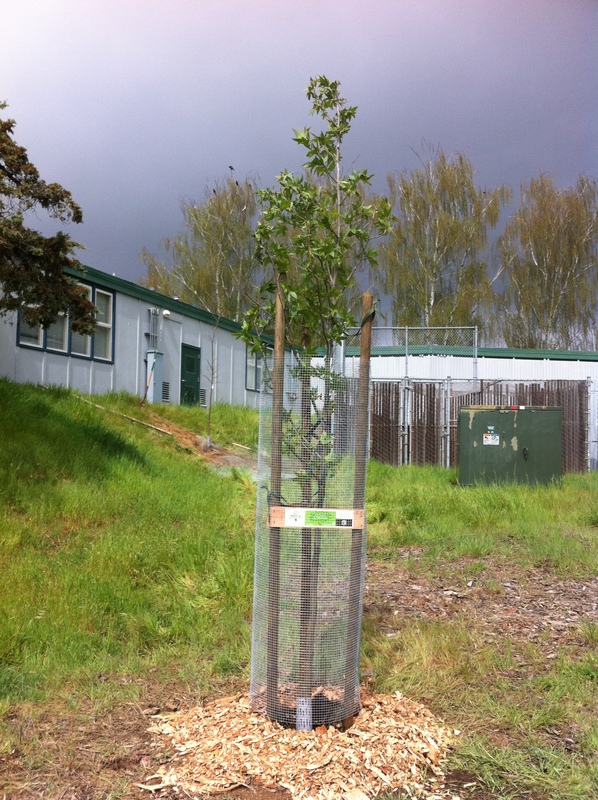 Schools and other public institutions can be valuable places for larger tree planting projects. They often have significant amounts of open space and the existing infrastructure and support to care for the trees. Their educational mission also offers opportunities to help the public understand the value of the urban forest. After visiting the site in person (we noted that even in early December, the sun was hot and bright enough that all south-facing classrooms had their shades drawn; clearly shade would be of benefit to them), we found strategic locations for 20 trees, including two native species, the coast live oak and California sycamore, and the non-native Hungarian oak, chosen for its hardiness, drought-tolerance, and appearance. 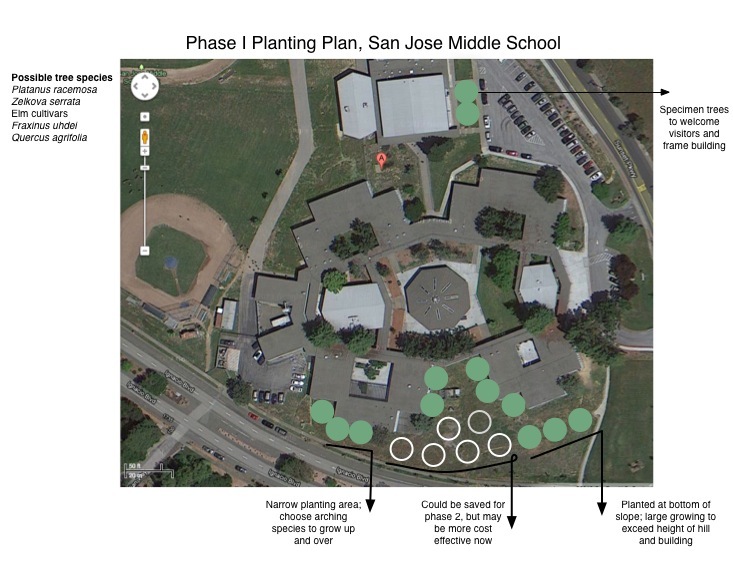 The trees were planted in one day by a team that included Friends of the Urban Forest, local landscape professionals who volunteered some of their time and equipment to dig the holes and lay the additional irrigation, and students of San Jose Middle School. 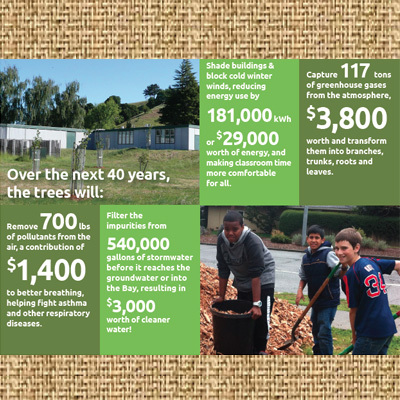 We used the Northern California Coast Community Tree Guide to estimate the benefits the trees will provide and presented the results to the students in a flyer.